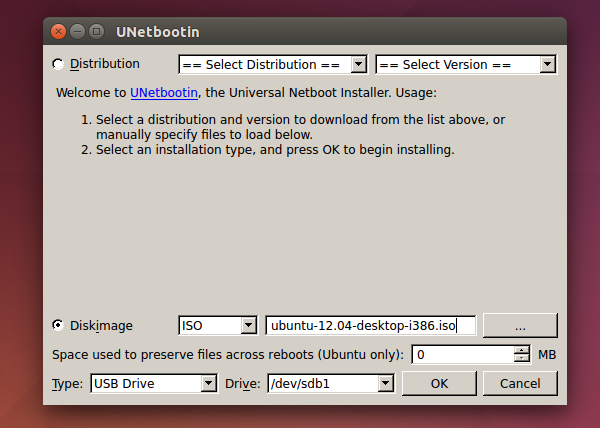 Unetbootin is a burning tool for ISO to create bootable USB drive. It is open source and licensed under GNU GPL version 2. Unetbootin is a software by Geza Kovacs. Unetbootin official site is on Sourceforge, Launchpad Translations, and it has Github page (if you want to contribute). 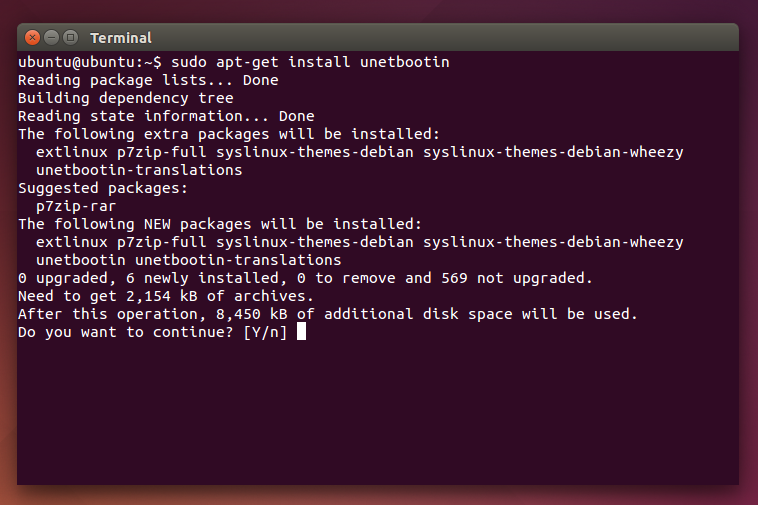 This article will show you how to install and use Unetbootin on Ubuntu. 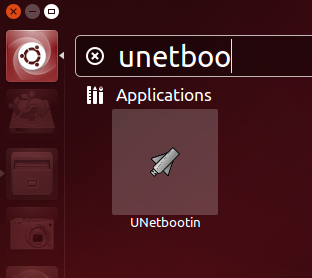 By GUI, you can search unetbootin on Ubuntu Software Center. Simply, insert your USB drive > open Unetbootin from menu > enter your password > Unetbootin appears > select Diskimage > select your ISO image file > make sure the Type is USB Drive not Hard Disk > and the drive is /dev/sdbX (or anything for your USB drive) > click OK. Wait until the process finished. See picture below. I use Unetbootin to burn anything into my USB drives. I use it to create Fedora, Ubuntu, Linux Mint, Blankon, Slackware bootable USB, until I can not count anymore how many times I've been used it. Even Unetbootin can burn Hiren's Boot CD image into my flash drive. All them work. 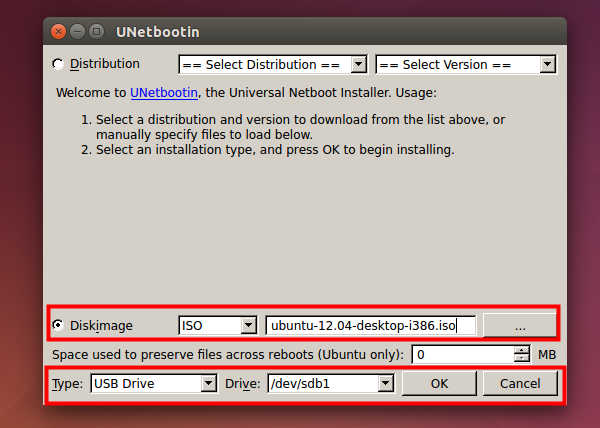 So we can see now that Unetbootin is usable to create any operating system bootable USB drive from Linux. More interesting thing is Unetbootin can create your bootable persistent. So, even it is just a bootable liveusb, you can save your changes inside the OS in the USB drive. That is persistent technology. You can enable persistent by giving Space used to preserve... section a value. How many MB for your persistent storage inside the OS in the USB drive. See picture above.